Heart failure lecture with IMA Bhilwara. 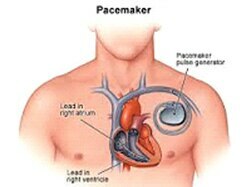 Heart failure is leading cause of mortality & morbidity in India & whole world. Lots of new advancement is now available to decrease these like new drugs, new devices like CRT, Micro LVAD, Impella, other devices like AICD, Watchman device for Atrial fibrillation, TAVR(Trans aortic Valve replacement are also there to help these needy patients in maintaining normal life .